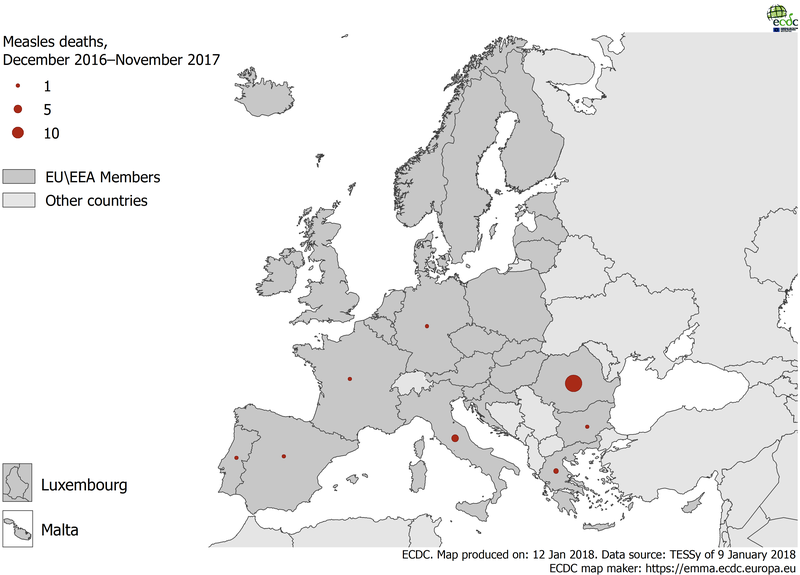 Romania saw a sharp increase in cases from October 2016, and the trend has continued throughout 2017; in Italy, the increasing trend started in January 2017, while in Germany it began in February 2017; Greece has seen a measles outbreak starting in the second half of 2017, with 250 cases, including one death, reported in November 2017. This was an increase from 167 cases, including one death, in October and 127 cases in September. Measles increasingly affects all age groups across Europe and in 2017, 44% of measles cases with known age were aged 15 years or older. 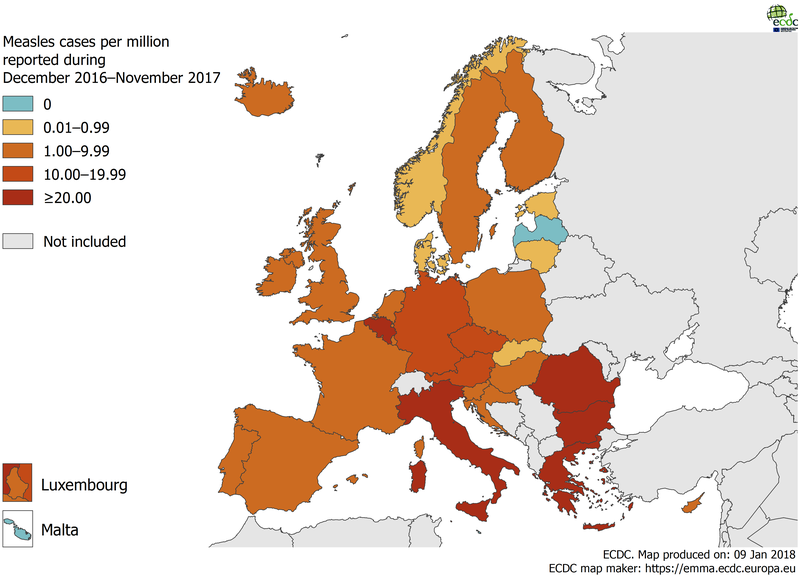 The latest available figures on vaccination coverage collected by WHO (2016) show that the vaccination coverage for the second dose of measles was below 95% in 20 of 27 EU/EEA countries reporting second dose coverage data. In order to achieve the measles elimination goal, the vaccination coverage rates for children targeted by routine vaccination programmes should increase in a number of countries, as the vaccination coverage of the second dose must be at least 95% to interrupt measles circulation and achieve herd immunity. This is particularly important to protect children below one year of age, who are particularly vulnerable to complications of measles but are too young to have received the first dose of vaccine.